The dollar bucked the trend to deliver another positive day versus majors as investors move away from safe heavens into riskier assets. 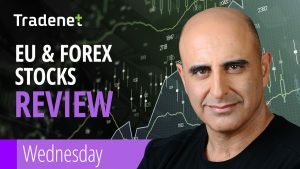 Most FX markets traded another lackluster session on very little market moving news awaiting now more clarity on the two biggest issues on the agenda, the US China trade talks and the Brexit. Global equity markets continued their rally after another strong session in Europe and more upside in the technology sector in the US, backed by strong earnings results. Metals traded again lower on a stronger dollar and OIL pulled back ahead of the inventories number today in the afternoon to close at 53.73$ per barrel on global growth worries that offset signs of a tightening global supply. US OIL Inventories at 3:30 pm is the important news on the agenda Wednesday.